These TV Stands Feature a Sturdy Base that Poles Snap Into! 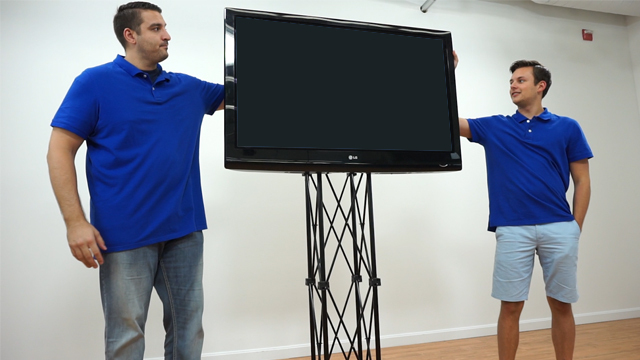 These TV Stands Sized For 46" Flat Screen TVs Are Portable Television Racks Despite Their Height! 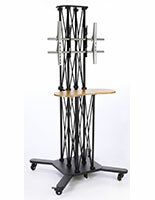 These TV Stands Can Be Purchased with Confidence! 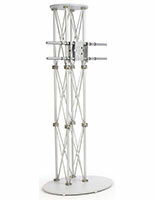 123" tall truss stand towers over competitors' presentations. 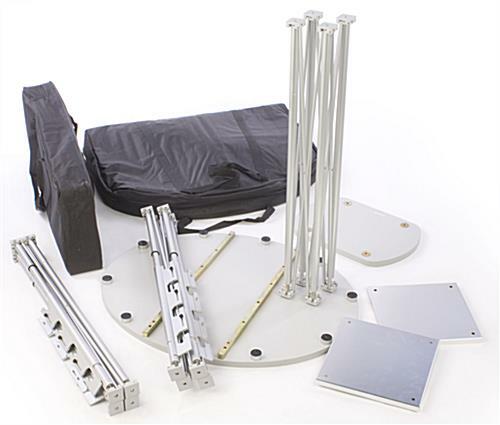 Knockdown design is portable yet easy to set up. (2) VESA LG brackets display flat panel TVs both vertically and horizontally. 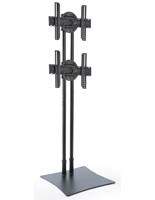 Adjustable clamps keep TV mounts securely in place. 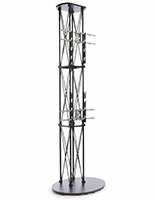 Single monitor mounted on top provides maximum visibility! TV stands, of this additional tall dimension, cannot be ignored! 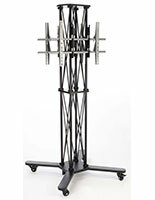 These plasma stands, TV stands tend to be merely over 10-feet in height, rendering them extremely efficacious in attracting awareness towards one's own televised media content. 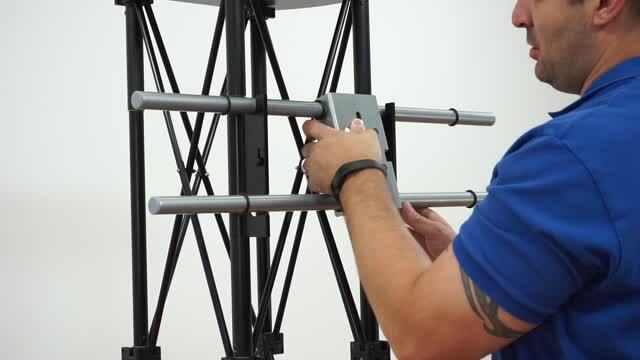 The TV stands, likewise recognized as additional tall flat panel TV mounts, tend to be engineered to exposition (2) flat panel TVs choice of vertically or horizontally at the same time. (Please view the drawings for all of their affixing preferences.) 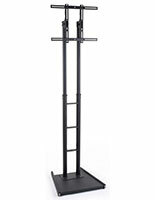 We offer these TV stands with (2) VESA LG brackets for affixing TVs up to 60" in dimension, and weighing fewer than 80 pounds. 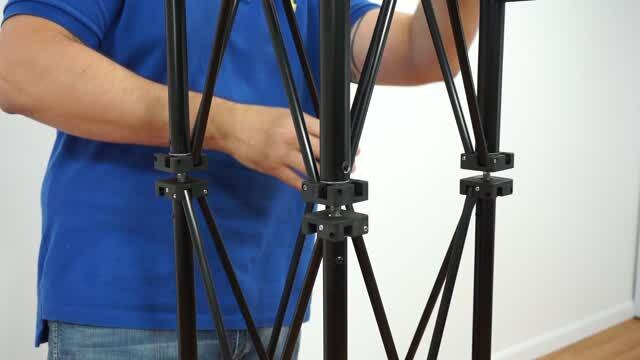 The TV stands provide a metal truss design, rendering them both moveable and appealing. Setting up your Panasonic, LG, or other monitor is likewise not difficult as no supplemental tools are needed! You tend to be even supplied with the affixing screws! These TV stands are sized for 46" flat screen TVs. They provide (2) carrying bags to render these moveable and not difficult to carry. 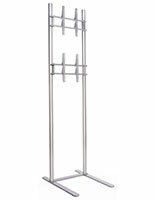 The flat panel plasma racks, TV stands tend to be consequently ideally meant to be utilized at event exposition or expositions. 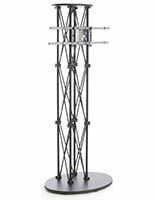 These TV stands, with their tall design, tower over competitors' showcases yet will not overwhelm the remainder of a display. TV stands, as well as thin screen LCD racks, provide you the power to incorporate digital publicizing into any exposition. 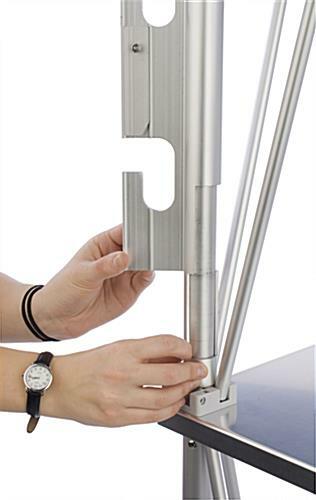 Please Note: Due to its design, the VESA LG bracket will not accept a 300mm horizontal television. 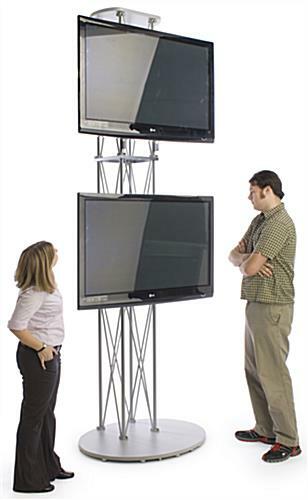 These LCD TV stands will require the use of an extension cord. 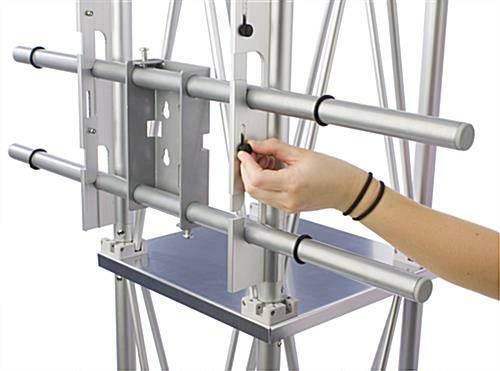 You will need at least (2) people, as well as ladders, to mount your televisions to the brackets.